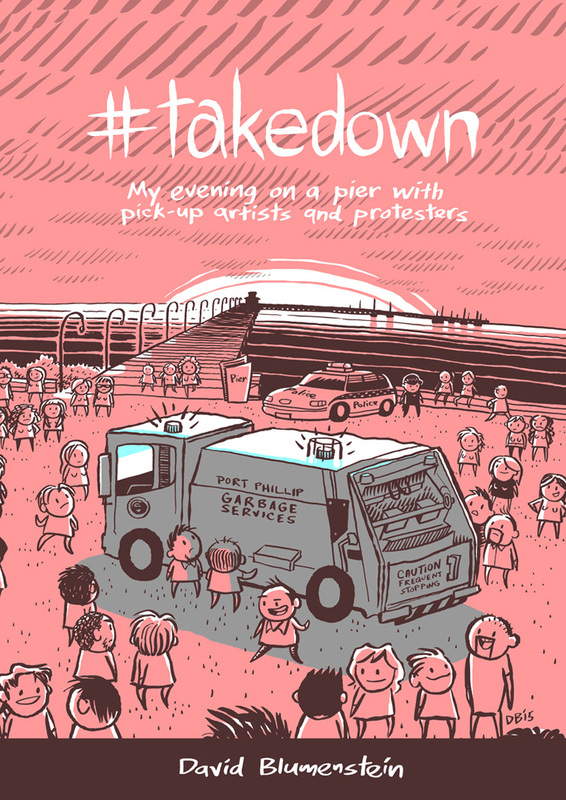 You can buy my book, #takedown: My evening on a pier with pick up artists and protesters. What are pick-up artists really like? Cartoonist David Blumenstein wanted to know. In signing up for a free seminar with International Pick-up artist(PUA) Instructor Julien Blanc, David found himself witness to one of the most successful anti-PUA campaigns launched by the feminist community, a campaign that rallied behind the catch-cry #takedownjulienblanc. 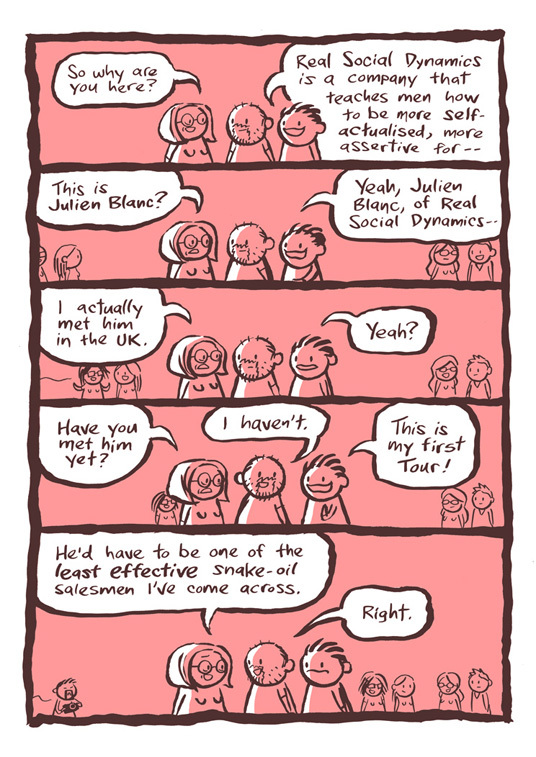 This playfully drawn true account of one evening introduces you to the people on both sides of the protest line.